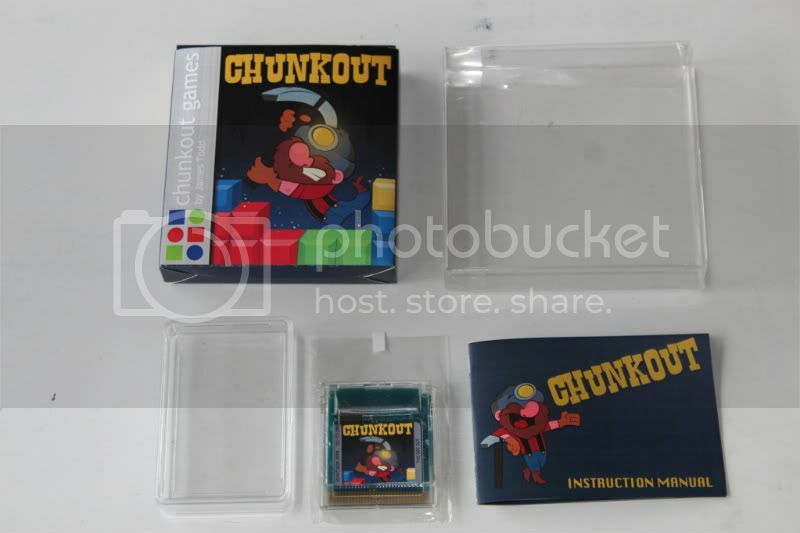 I first developed Chunkout after playing SameGame on a friends computer and thinking how great it would be to have a copy on a portable console like the Gameboy Colour. I had been playing around with development on the Gameboy and Gameboy Colour for around a year before this, but this gave me an excellent project to work on. Around this time, Bung Enterprises Limited, a manufacturer of console backup and development devices in Hong Kong, was running competitions for homebrew gameboy colour games to increase the popularity, and perhaps legitimacy of their products. Discovering this competition, I worked on Chunkout with this competition in mind, and tried to make as tight and complete a game as I could. While I didn’t take out any of the top cash prizes on offer, I did win a rather large (for the time!) 64Mbit flash card and two ‘voice cards’ that allowed recording and playback of voice samples on a gameboy. 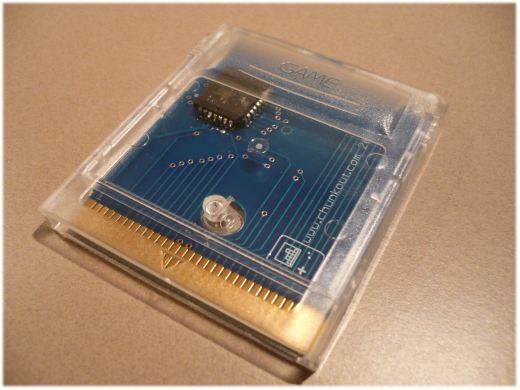 In recent years I have contemplated producing a limited production run of carts for the Gameboy Colour version of Chunkout however finding someone with the time and know-how to develop an appropriate circuit board has proven elusive. 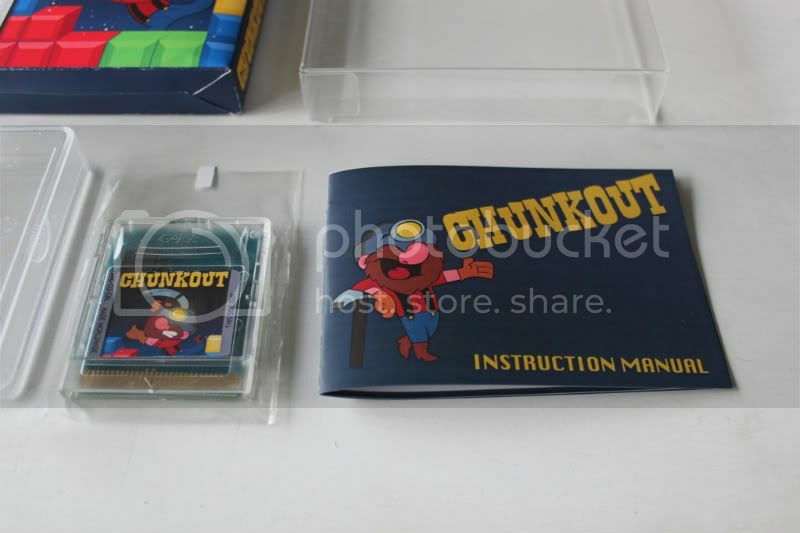 Over 10 years after first developing the game, I got quite a lot of interest from people who were keen to see Chunkout for the GBC on a real cartridge. 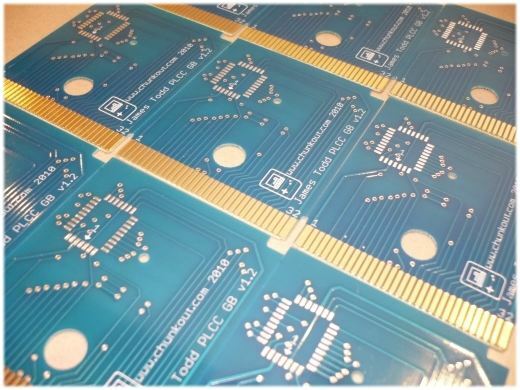 While it sounded like a great idea, there were many hurdles I had to overcome to getting a full product available including learning circuit board design! While the original game linked above was a fun little game, it lacked a few things that would make it a real releasable product. I had to dig out the 11 year old code, tools and compilers – and yes, some of the tools I used back then, I now had to run under DosBox to run on a modern machine! After working through my code, I went about writing a music engine, adding the ability to progress through levels of difficulty, and add in the theme of the game I was working with Ray my artist to achieve. The music engine was relatively rudimentary, but transcribing the Tchaikovsky music from some original music to it was quite a challenge, as I had to also learn to read music (which I hadn’t done since school). Updates can be seen in the below video, I hope you enjoy them! 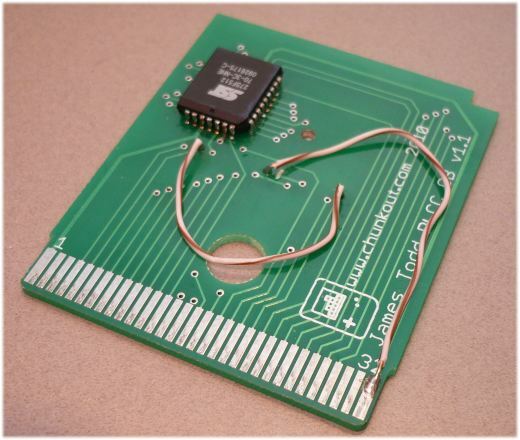 Since there wasn’t any available service to have Gameboy games published, or even bare circuit boards available, I had to start from scratch with the circuit design. Fortunately this game uses the simplest of architectures within the Gameboy, with only a single ROM chip, and no memory mapping chips. With the help of a few friends and Google, I was able to learn the ins and outs of PCB design, and get the PLCC ROM chip hooked up in the circuit design. After 2 rounds of prototype production where a few traces on the circuit board needed adjusting, I was able to get the game up and running perfectly. Then came the long arduous process of soldering 3200 pin connections to make 100 cartridges! (in hindsight, I will probably get the factory that makes the board to do the soldering in the future! Cricket games on many console platforms were few and far between (especially compared to baseball titles in the US!). I started this little game for the Gameboy to bring cricket to the handheld, but never expanded on the game much further than simple batting and bowling mechanics.